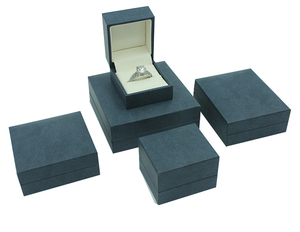 1 YRS Dongguan Eeca Packing Product Co., Ltd.
luxury leather gift jewelry box leather necklace earring ring jewelry packaging box for jewelry set -Material: PU leather box -Insert: Grey Velvet insert -Logo: Metal Logo -Size: Or customized -Color: White Color -MOQ: Above 500 Pcs (large quantity will grant discount) -Packing Details: Unit Paper Sleeve. 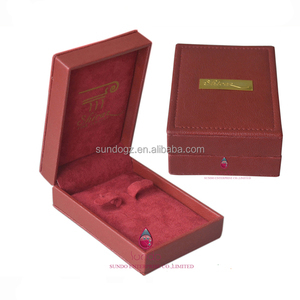 For leather box , sample fee is $80/pcs; for wood bo x, sample fee is S100-150/pcs luxury leather gift jewelry box leather necklace earring ring jewelry packaging box for jewelry set Q4.Which shipping way is available and how to track9 By sea to your nearest port By air to your nearest a i rpor t By express (DHL,UPS,FEDEX TNT,EMS) to your door After your order has been shipped, we would provide you a tracking No . luxury leather gift jewelry box leather necklace earring ring jewelry packaging box for jewelry set Q5.Which payment way is workable9 PayPal (for sample fee. 4 YRS Guangzhou Guangli Industry Co., Ltd.
2.Elegant design of standard size 3.Fast delivery 4.Good service 5, Extra value: professional advice, artwork design Products Main paper products: Paper bag , paper box, gift bag, gift box, jewelry box, wine bag, cosmetic bag, shopping bag, Kraft bag(craft bag), carrier bag, food bag, promotion bag, paper packaging, Christmas bag, paper products, paper display shelf. Printing 1-7color, metal color, special printing, Pantone color, CMYK color Finishing Glossy & matte varnishing, glossy & matte lamination, hot stamping, embossed, UV, glitters etc. Handle PP rope, cotton rope, cotton ribbon, twisted paper handle, Flat paper handle, die-cut handle workable. New Design Good Quality Gift Packing Jewelry Velvet Necklace Box Attention Dear customer:It is ready goods,MOQ is per above information. Could you please check with us if we have enough stock before you place an order and advise your detail address in order to quote you shipping cost9 If you require your logo on the box,MOQ is 1000pcs. Item number 106-1009 Description New Design Good Quality Gift Packing Jewelry Velvet Necklace Box Material outside claimond veins+ inside pearl paper +middle 1000g cardboard Size 210x45x25mm Accessory Without Printing Cream Surface Finishing No Usage Jewelry,ring,earring,necklace,bracelet,watch. 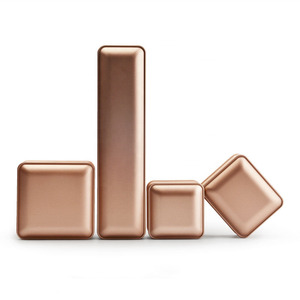 9 YRS Yiwu Gift Heater Arts And Jewelry Co., Ltd.
&bull; Size: all sizes can be customized &bull; Printing: CMYK colors, offset printing/flexo printing &bull; Finish: matte / glossy lamination/UV-coated/gold foil stamping/embossing/debossing, etc. &bull; Design: OEM/ODM is welcomed &bull; Logo/text: printed with your choice of logo, wording and fonts &bull; Sample delivery: 1) stock sample: can be delivered within 1 day. 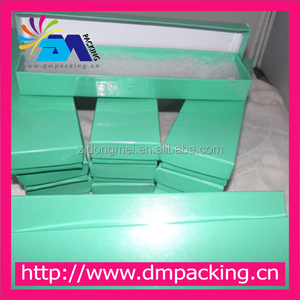 7 days &bull; Packing: export standard cartons. 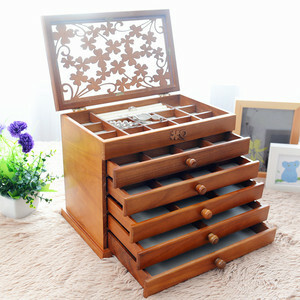 Alibaba.com offers 5,851 pearl box jewelry products. About 10% of these are jewelry boxes, 7% are packaging boxes, and 1% are cosmetic bags & cases. 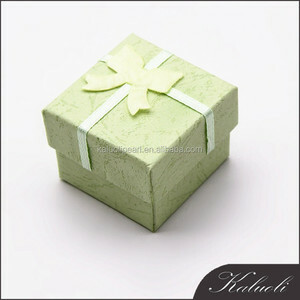 A wide variety of pearl box jewelry options are available to you, such as free samples, paid samples. 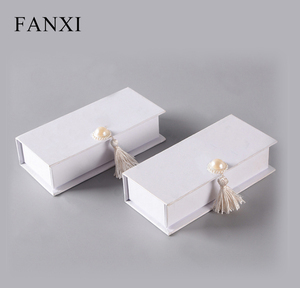 There are 5,851 pearl box jewelry suppliers, mainly located in Asia. The top supplying country is China (Mainland), which supply 100% of pearl box jewelry respectively. Pearl box jewelry products are most popular in North America, Western Europe, and Northern Europe. You can ensure product safety by selecting from certified suppliers, including 306 with Other, 246 with ISO9001, and 46 with FSC certification.